YAY! I finally have it. 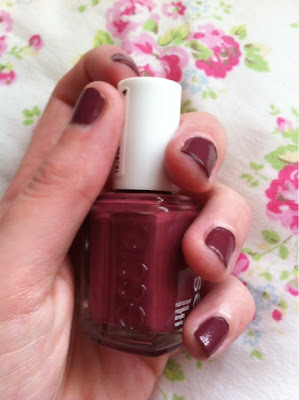 I've lusted after this nail polish for months, but every time I go into Boots it's sold out. Luckily, the huuuuge Boots in the Trafford Centre had this colour. It was very popular across blogs during Autumn, but I think this lovely dusky rose is nice for any season.